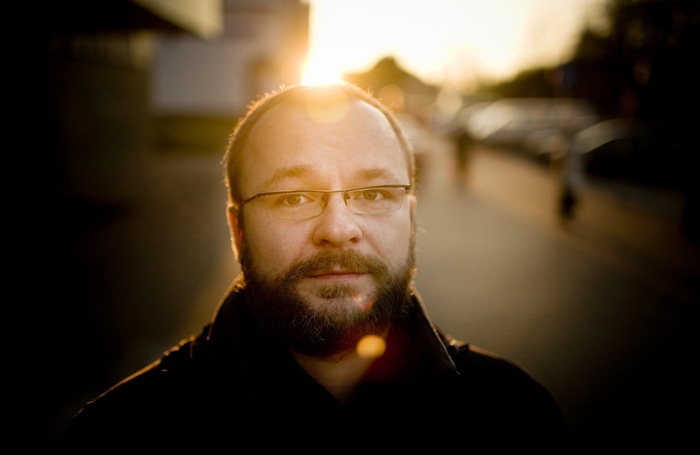 Ignacy Karpowicz has received a Polityka Passport Award, two Nike Award nominations, published six books, and earned a reputation as one of the best writers of the young generation. 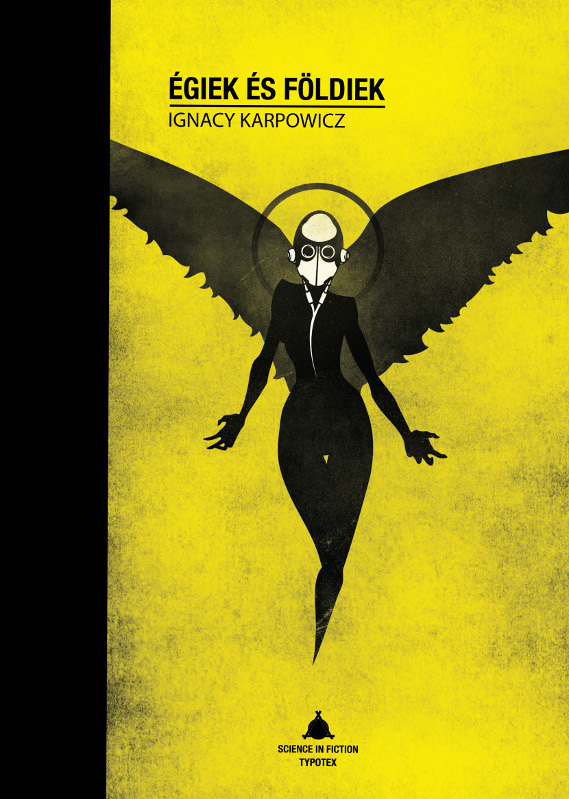 His recent book Ości confirms that Ignacy Karpowicz is an exceptional writer. Exceptional Polish writer, translator and traveller, winner of a Polityka Passport Award, twice nominated for a Nike Award..
Young authors are said to have a good ear for language. When it comes to Karpowicz, this buzz phrase is not enough. The words in his novels cut through different levels of meaning, accumulate in the cracks and destroy phraseological structures from within. His language lives and metamorphoses, disregarding the laws of phraseology and logical order. Fragrances gain colour, and colours – smell. Language is a tool and an organ for exploring the world, but also a substance subject to the most perilous interventions. Karpowicz entered the Polish literary scene with pomp. Published in 2006, Niehalo was hailed by critics as one of the most promising debuts. The story about Maciek, who is frustrated by low salaries, the party system, and romantic failures, spins in a mad narrative dance. Karpowicz reached for his literary whip and lashed Polish Catholicism, national myths and the parochial mentality. I have always been annoyed by many things: ossified things considered to be the foundation of Polish society and treated as its irreplaceable building blocks. When something like this freezes, it starts to get detached from reality, it becomes a lie. – said the writer in an interview for Tygodnik Powszechny. Niehalo exudes feverish youthfulness, and the concentration of different topics here and there dissolves the structure of the whole. Karpowicz created his novel on the basis of various elements: there are biblical stylisations, fragments of news dispatches, political speeches and scenes written in the style of the classical novel. And while Niehalo heralded the birth of a great talent, the novel was written by an unsteady hand. I am definitely not a writer. Nor a traveller – I live in a Caribbean province, which is no different from that of Białystok. Maybe except for the palm trees and the sugar-cane hooch. Karpowicz spent his youth in Białystok. When he finished high school, he moved to Warsaw to study. It was then that he started travelling. First he went to Christian Africa: Coptic Egypt, Nubia and Ethiopia. The latter became his passion. He learned the language and became a translator of Amharic. This is my most favourite place in the world outside Poland. Except that it is terribly tiring. Holidays in Ethiopia mean at least a week of rehabilitation. One is never alone there, crowds, poverty, and other tiring factors are all around. – said Karpowicz in an interview with Culture.pl. During his studies, he learned Spanish, but he was not drawn to the Latin world. Nevertheless, he lived in Costa Rica for several years, where he worked as a translator. He returned only after the premiere of Niehalo, and a year later, he published two books – the fictional Cud [Miracle] and Nowy kwiat cesarza [The Emperor’s New Flower]. In the latter he talks about Ethiopia. But The Emperor’s New Flower is not a travel diary. ‘These are not reports. This is not a novel. It is probably something ‘in-between’, just like Ethiopia is ‘in-between’ – it is neither Africa, nor Europe, nor the Middle East: perhaps a land of fairy tales for adults, ruled by an evil king, known from Ryszard Kapuściński’s Emperor. The evil king is gone, but the fairy tale did not have a happy ending. The Emperor’s New Flower is a story about what happened after the end’, wrote Karpowicz about his book. And again he showed great literary ease in mixing styles: fragments of classic reportage intertwined with fairy-tale parables, and the whole encrusted with short digressions and impressions. Once more the writer captivated with irony and stylistic intensity. The quintessence of his ironic and vehement style is Miracle, released almost at the same time as The Emperor’s New Flower. Though the main character dies on the first page of the novel, he does not vanish into the shadows. His body, which is taken to the hospital, maintains a constant temperature of 36.7 degrees Celsius, and a young doctor falls in love with the body, who becomes an object of scientific interest. Random people also visit the hospital to witness the miracle. In Miracle Karpowicz abandoned journalistic immediacy to create a story about a world in which people choose to detach from life. Most of the characters of the novel lead an illusionary existence: they passively submit to the vicissitudes of fate, without trying to find meaning in the everyday. In the works of Karpowicz, there is both seriousness and humour, there is ordinary reality and extraordinary imagination. And there is also something more, which allows us to think that the author of Miracle will become part of our literature for good and will please readers more than once – his expressive, original, well-composed style. While fans and cheerful critics waited for another crazy book by Karpowicz, in 2008 the author wrote a completely different type of story. 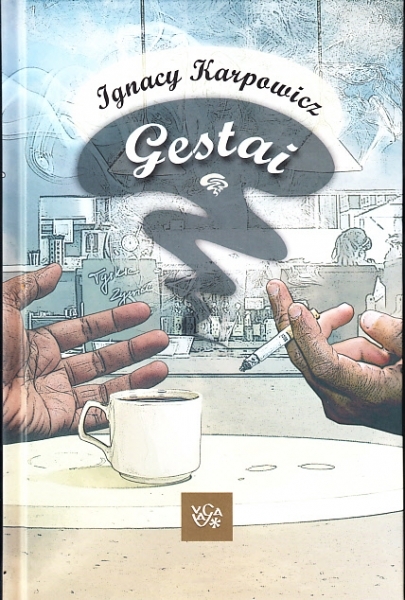 Gesty [Gestures] is not the quintessence of crazy imagination, but a story about loneliness written ‘piously’, without irony, yet with sincerity coming close to kitsch. Its protagonist, Grzegorz, abandons Warsaw life to spend some time with his dying mother in Białystok. Gestures divided critics. Dariusz Nowacki from Gazeta Wyborcza attacked the novel, comparing Karpowicz to Janusz Leon Wiśniewski, author of widely read but not very sophisticated books. However, the sincerity of the prose delighted some critics. Jan Strzałka from Polityka wrote: ‘Karpowicz and Grzegorz pose Fundamental Questions – precisely like this, with capital letters – about what happiness, time, memory, and the body are, whether a person can die before he is even born. Great prose, and at the same time Karpowicz surprises us with an unexpected ending...’. In my opinion, Gestures is the bravest of my texts. First of all, I disappointed readers who liked Niehalo and Miracle, and therefore the joyful mixture of grotesque and humour which masks despair. Secondly, the adopted convention, or, negatively speaking, the psychological and existential nonsense, had its consequences. I – the author had nowhere to hide any more. I was not protected by distance, nor helped by irony, nor rescued by language games. It turned out that I was utterly exposed. I was easy to hit. I was easy to defeat. It was easy to laugh at me. – said the writer in an interview with Agnieszka Wolny-Hamkało from Gazeta Wyborcza. In Gestures Karpowicz performed ‘exercises in sincerity’, talking about a family which does not provide support because it is a collection of empty social forms, about literature as ‘plagiarism of life’, and about loneliness, which is inborn, like skin tone or eye colour. In 2009, he was once more nominated for the Nike Literary Award for his novel, and two years later, Gestures was translated into Lithuanian. I like them in small doses and not too often (...). Sometimes I don’t see any new people for a month or more and then I start to think that they are nice and good. I just start loving people (...). And then when I have come to love them very much (...), then I know that I need to urgently go to the city, because I have lost touch with reality. That I need to see real people. After just two days in Warsaw, I already know what people really are. Karpowicz has been living in his native Słuczanka for years, keeping private. He's stopped travelling. ‘I can find the same things in my countryside as in Ethiopia. Besides, my countryside is cheaper’, joked the writer upon receiving the Polityka Passport Award for Balladyny i romanse [Balladynas and Romances]. He also took the occasion to thank his publisher for the ‘phraseological tricks’, thanks to which Balladynas and Romances was published. In his fifth novel Karpowicz returned to booming aesthetics. This is a book which is a triumph of the imagination, and which manages to dress the deep truths about contemporary culture in a pop culture costume. Here, language is a tool for experimentation, and the vibrant phrases deconstruct language patterns and arrange words in new surprising configurations. But it is not just words that are combined in surprising ways. The same applies to ontological frameworks. The world of ordinary characters: a spinster, gay couples, an adolescent hooligan and girls interested in younger lovers, collides with the world of gods. Jesus dressed in a hippie shirt with the slogan ‘Make love not war’ plays Mortal Kombat, and Athena and Osiris watch the series Six Feet Under. One day, as suggested by Zeus, gods from different cultures: Nike, Aphrodite, Jesus, Lucifer, Osiris, Athena, Eros, Ares, Apollo, and the Fates, descend to the Earth (to Poland) and they are joined by the pop culture characters from Winnie the Pooh. It is often said that pop culture is stupid. This suggests that at some point people used to be smarter than they are now. I don’t think this is the case. Pop culture did not kill high art. After all, it is not like 60 years ago every worker went to the opera once a week. It has never been like this and it is not at the moment. In the pop cultural environment in which we live there is a wealth of options and everyone can choose what pleases them and fits their needs. Balladynas and Romances turned out to be a great literary success – unanimously praised by critics, awarded, and recently translated into Hungarian. The work of Karpowicz is not limited to novels. 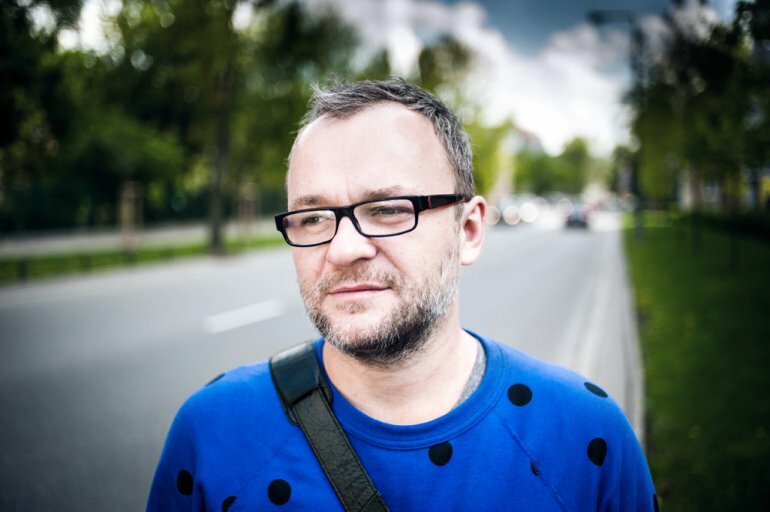 In 2012, the writer of Niehalo became a co-author of the documentary The Art of Disappearing directed by Bartek Konopka and Piotr Rosołowski. The films is about a voodoo shaman, who, thanks to Jerzy Grotowski, arrived in Poland during the Communist period, and died after his return to Haiti without leaving many memories and relationships behind. For the needs of the documentary, Karpowicz had to create a fictional account of Amon’s trip to Poland. He dressed the clash of cultures in the costume of a fairy-tale comedy. The film by Konopka and Rosołowski, the last part of the Guide to the Poles series, produced by the Adam Mickiewicz Institute, had its world premiere at the prestigious Visions du Reel festival in Nyon. I lived in the Caribbean, but I have never been to Haiti. What I knew about voodoo is what everyone knows – that it has to do with zombies. I first read ethnographic and anthropological books to understand what it is. But it was not enough. I read literature from that language area to become familiar with its metaphors and the way of seeing things. It was only after I had passed these two classes that I could try to become a voodoo priest – Amon. What I value is the breaking of certain established idioms, and giving them new meanings. But I believe that literature today is more than a word play. Emotions and characters seem most important to me now. I was once interested in looking from above, now I try to be closer to my protagonists. In the recently published Ości, he paints bittersweet portraits of ordinary and extraordinary people. An ageing literary critic, an Asian drag queen, a bald xenophobe... Their stories are full of wit and melancholy. The author of Miracle describes people at the crossroads of life with affection, trying to capture the ‘sudden moments’ that change their lives. But his prose is far from sentimental: it is a triumph of imagination and phraseological courage; a literature in which language becomes a glowing space of ever-changing meanings. Karpowicz's last novel up to date, Sońka, begins like a fairy tale set on the Polish-Belarussian border (which makes the story more personal - it's there, where the author spent his childhood). It tells the story of a meeting between the title character, whose life "finished with the war" and a director from Warsaw, who is stuck in her village by accident. To him Sońka can tell the story of her life, mostly - the story of her great, unhappy love. The novel was described with old-fashioned adjectives: as 'beautiful' and 'moving'. Karpowicz wants to create a parable, a story filled with lyricism and symbolism. It's a beautifully written novel. The most beautiful the writer from Białystok has created. He mixes phrases worthy of Wiesław Myśliwski with subtle symbolism as in Tadeusz Nowak's poems. This style was already visible in "Gestures", but not to this extent - wrote Łukasz Wróbel ('Kultura Liberalna', nr 289, 22.07.2014). In his subsequent novels he teeters between pop culture and so-called high literature. A few years ago, I realised that writing an outstanding novel for fifteen people is in fact a simple solution. It is not so difficult. If someone has a sort of a talent and is hard-working, he can easily create such a masterpiece. It is much harder to come up with a book that contains something deeper, and that is written in a reader-friendly language. – says Karpowicz in the promotional video for Balladynas and Romances. He is therefore searching for the golden mean, trying to go out of the box and get rid of labels given by literary critics. When Gazeta Wyborcza organised a poll in 2011 in which literary critics had to identify future masters of Polish literature who could become Nobel Prize Winners in 2040, Karpowicz took second place after Dorota Masłowska. Because Ignacy Karpowicz is today one of the best Polish writers, author with remarkable imagination, distinctive style and high sensitivity. Niehalo, Wydawnictwo Czarne, Wołowiec 2006. Cud [Miracle], Wydawnictwo Czarne, Wołowiec 2007. Nowy Kwiat Cesarza (i pszczoły) [The Emperor’s New Flower (and the Bee’s)], PIW, Warsaw 2007. Égiek és földiek [Balladynas and Romances], transl. Korner Gabor, Budapest: Typotex, 2012. Csoda [Miracle], transl. Korner Gabor, Budapest: Typotex, 2014.